The decoration of the Cote du Moulin room is romantically inspired with a superb view of the garden and the meadow bordering the river which flows at the bottom of the property. In winter you can catch birds and squirrels feeding in the surrounding trees. 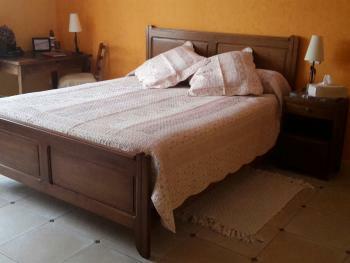 You will find a double bed - 140 cm. 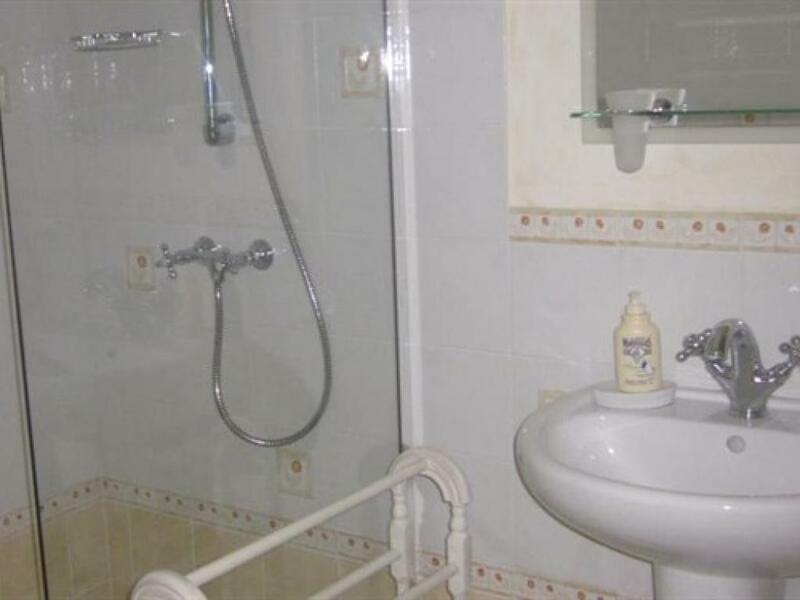 It has a private bathroom with shower and toilet. 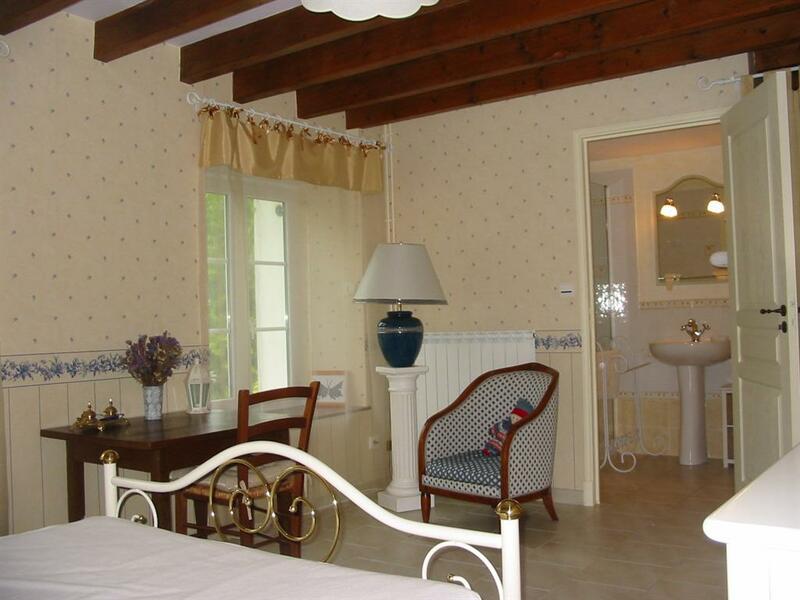 The Auges du Midi room overlooks the courtyard of the farm, we find a rather Mediterranean atmosphere with its ocher and warm tones. 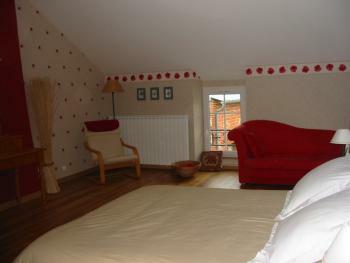 It has a large double bed and a single bed with the possibility of an extra bed. 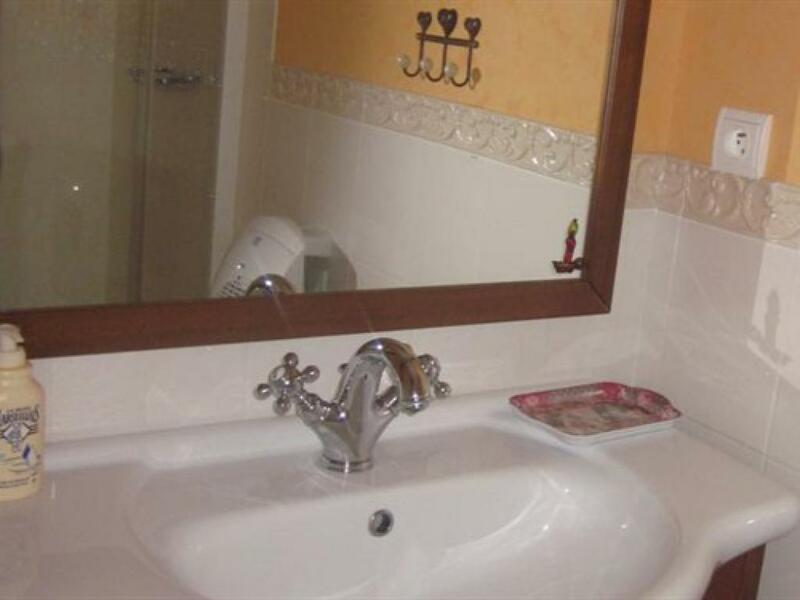 A small bathroom is nestled discreetly in a corner of the room with a toilet. Upstairs the family suite "Hautes Vues" offers two communicating rooms with a bathroom with private toilets. 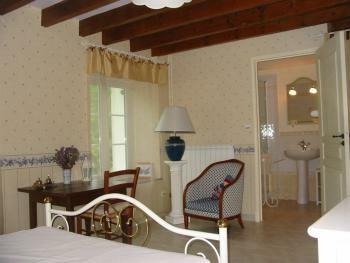 Lots of space in this suite with floral decoration. A large double bed of 160 cm and two single beds make it possible to welcome a family with children. 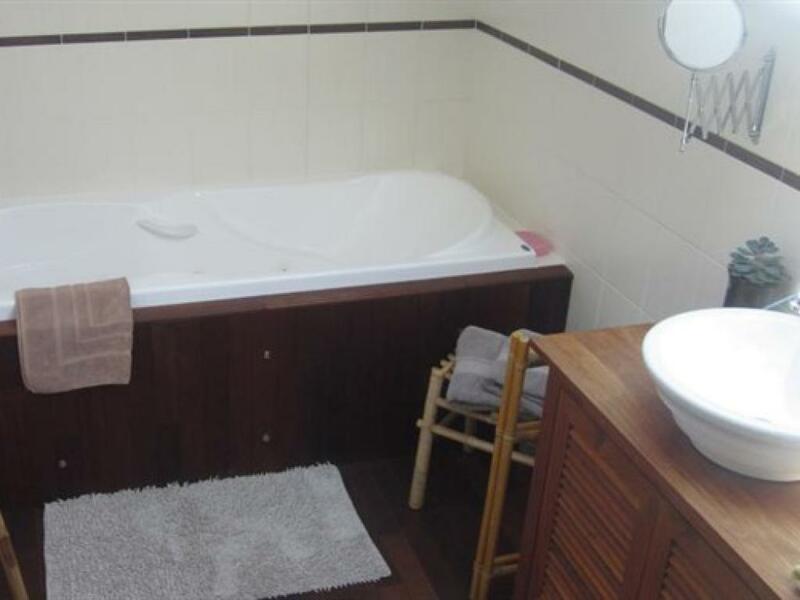 The bathroom is equipped with a balneo bath and for the large families, it is possible to add an extra bed.